I WAS WRONG. I write those three words with absolute jubilation. Seriously! I have never ever in my life been so sure I was right and so delighted to find out I was wrong. Exactly eight days ago I began to notice some physical changes in Ian. His walk seemed less steady and he would place his right foot instead of a heel-toe step. At first I didn’t think much of it. But it did put me on high alert. Later I noticed other things. Each small change alone, I reasoned, could be little cause for concern. But putting them all together, seemed to warrant further investigation. I called my contact at UNM Hospital. I don’t overuse my personal expedient access, but it was justified. After speaking with Corrine, the personal secretary to the department head, she asked more probing questions and concurred. Not only was a prompt appointment needed, she arranged an MRI to happen in advance. When you’re a frequent flier and have had the neurosurgery notoriety of Ian, you do get the red carpet treatment. And for that, I’m grateful. This brewing nightmare was born and died in a matter of eight days. Perhaps because the time was so concentrated, like a beacon, those eight days were jam packed with practical insight from the Lord. Almost like a one week refresher course, it feels like the difficult eight days were a Christmas gift from Him. Staying Connected is the best defense. Jesus, my constant companion, and I were already tight. With lots of consistent time spent in the past months, I know Him and trust Him. When this new crisis hit, I was especially grateful to avoid wasting precious time getting reacquainted. It was as seamless as if He was living inside me. Ha! He was and is living inside of me. Just as any relationship requires maintenance, so does a relationship with the Lord. It seemed as if my timing to get my oil changed and tires rotated was the ideal preparation for this latest storm. You CAN get better at living with uncertainty. In a heartbeat, I found myself re-visiting that same place of uncertainty and fear. As if I was a longstanding member, those familiar friend-like enemies met me at the door and showed me where I could hang my coat and settle in. They pointed to the first room, imagination. This was the room where you entertain thoughts, you think of worst case scenarios, you fantasize news that doesn’t exist. Oh yes. I remember this room, the hand wringing, the nausea, the powerlessness, the fear. Amazingly, in almost a constant state of prayer, I didn’t settle in. As the thoughts entered my mind I would douse them with scripture, like a bucket of cold water on glowing embers. Philippians 4:8, a favorite verse I know by memory, became my mantra. The wait with uncertainty is often immobilizing. To combat that, I focused my energy on two main things. Jesus please encourage me As I tried to go on with life refusing to imagine another Christmas in the hospital, I asked Jesus to encourage me. Then it was my responsibility to notice and credit him. While picking up Ian’s room to vacuum I found a business card from City Lights Church. (a ministry on UNM campus that I wasn’t aware Ian had any connection with) . Thank you Jesus. Ian was especially kind and cooperative . Thank you Jesus. I was gaining confidence that Ian was getting no worse. Jesus keep me vigilant to what I need to do. Corinne, the nurse, instructed me to go to the ER if I saw any further decline. That’s a lot of responsibility. Jesus please make it obvious. After praying that prayer, I believed He would answer and was no longer paralyzed as a watchdog. Ian’s MRI was scheduled for Sunday. The Lord reminded me of Ian’s metal nose ring and the no metal requirement of MRIs. We stopped by the piercing place before the MRI to remove it temporarily. Amazed by my own clear thinking to remember this important step, it had to be Jesus. In the place of uncertainty we think the only thing that will bring us peace and comfort is resolution to our situation. In my experience, the crucial detail is to stay close to the Lord. Our human tendency is to strive for peace and comfort. But peace and comfort aren’t solutions to seek. Instead, when we’re close to the Lord, they’re by-products we’ll reap. On the fateful day, I felt completely helpless, but amazingly at peace. Don’t get me wrong… I was very eager for our appointment. I wanted to know. I suspected a brain bleed. All the signs pointed to that. Two times prior, it was my hunch that brought us to the hospital at the right time. The nurse concurred. Even Doug and Ian who thought I was crazy at first, were eager to know the results too. “The MRI looks stable.” To me that statement was a bigger gift than a brand new lottery dream home. Seriously, I was stunned! The thorough conversation with Dr. Chohan that followed was useful, but certainly anticlimactic. Why the decline? Could be all kinds of things… lack of brace wearing, (the new one arrives Friday), lack of exercises, even tiredness. Dr. Chohan was confidently not concerned. He recommended some additional appointments to reconnect Ian properly to resources here in Albuquerque. Not only was our news the best possible news. But I felt a bit like doubting Thomas. You remember Jesus’ disciple that wanted to see the nail holes to believe. Without having to ask, “Seeing is believing” Dr. Chohan said. “Let’s look at Ian’s MRI.” It was unnecessary, but an extra measure of kindness. We saw Ian’s previous bleeds, the scar tissue from previous surgeries and all the boring, gray brain matter that looked…. BEAUTIFUL. Dear Jesus. I am soooooo very thankful to be wrong. Thank you seems inadequate. But thank you. With your help we got through this. Please stay close. Just like the old hymn says… I Need Thee Every Hour. Praise God! Debbie, you did the right thing in contacting the Dr. for the MRI. When I read your blog, it brought to mind what I have learned to not do. Negative thoughts have been known to pop into my head, usually about something I perceive I have said or done, and I start my negative self talk, I have learned to tell the devil to get behind me, take off, etc. I then turn to prayer and a conversation with God. Jesus for sure is guiding me, because I turn right to Him asking for guidance and strength. He is with me pretty quick now days. Why? Because I let Him! I cannot do this life without Him, plus, I need Him! I am so happy that all is ok with Ian. So happy for everyone! What a gift. Thanks for your words of encouragement to stay close. Hugs to all! Hi Debbie, So glad the Holy Spirit got involved in the publishing I did need it tonight. Thank You I feel so much stronger now. God is good ALL the time, thank you for praying for us tomorrow I will let you know how things come out. Love everything you have written and I pray for you all and thank God for His work with Ian. Love to you and Doug I love seeing your picture every time you write it makes me smile back to you. Debbie, you absolutely did the right thing! And you immediately turned to Jesus…also the right thing. Overjoyed that you had a wonderful, surprising result! I pray for you and your family almost every day. The Holy Spirit is my prompter when I forget. Praise God from whom all blessings flow! As you published this early for your friend by the prompting of the Holy Spirit, I read it the day I needed it. You see my father just had a PET-scan on Monday. 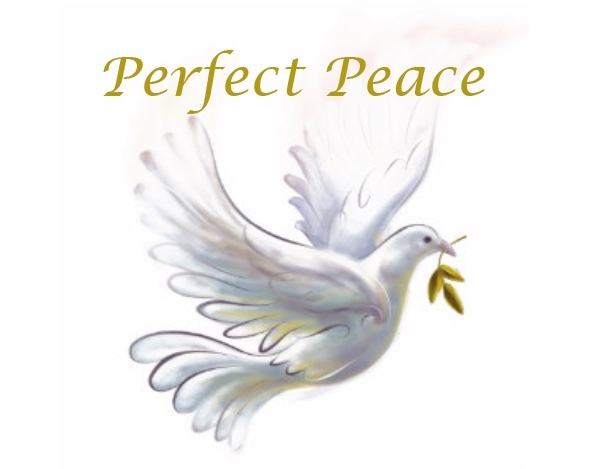 Our family has pressured into the Lord and He has provided His perfect Peace!!! We too have gone through the waiting and wondering where the next journey was going to take us. All of us, Mom, Dad and sisters and brother feel we have the best gift this year. Although the results have some need for follow-up we will marvel in the wondrous gift of no Cancer and in his lungs and enjoy this Christmas together without medical procedures hanging over us. Our God is so good and so loving beyond what we deserve. God bless you this beautiful Advent season. Enjoy the beauty and wonder our our Lord and Savior! What a wonderful piece. I went to the Great Banquet because I felt myself moving away. Life was good, our health was good, but I was losing touch with God. I think I got that feeling back and love it. Ever since Ian was in the accident, my feet hit the floor and I say a prayer for him. I am so thankful that his results are good. I will keep praying that he progresses to a better condition. Thank you so much for sharing this experience and your heart! I felt like I was holding my breath while reading this. Hoping that Ian would not be back in the hospital for Christmas. I love how you asked God for encouragement. I find myself asking for peace, hope etc. , but never encouragement. Thank you for reminding me that God wants to encourage us. Debbie, you have a world of friends who love you and your family! I am one of them!! I pray for your family nightly and am SO HAPPY that Ian’s MRI was clear and he gets to stay home with the family for Christmas…..THANK GOD!!! Deb, as usual your posting is very inspiring. Phil. 4:8 is one of my favorites also. I usually pray it to ward off bad thoughts. I was wondering if anyone had turned in Ian’s lost brace, but apparently not. Glad he will have a new one soon. Always in my prayers. Thank you for another reminder of how important it is to spend time with Him everyday in every circumstance! We truly need Him every hour! God Bless you and may Ian regain his strength and healing! You are an inspiration to so many of us, we are blessed by your willingness to share with us! Debbie, this reminds me of what I refer to as my hypotheticals. I will catch myself having a whole scenario going in my head. I have always liked what Matthew has to say about worrying in Chaper 6. I am glad that the MRI gave Ian this good news. I think Jesus understands us moms. He had to have watched Mary worry and hurt with all that He endured. You did the right thing. Yes… the heretical hypotheticals. I think it would be colorful blockbuster tv drama if some of my hypotheticals made it to the outside world. Thankful for an antidote. Have a blessed advent season with your family. I’m reading this today and stand in total agreement with you! We’re walking through some stuff right now and PEACE is what all of us need. Plus Phil. 4:8 is a life verse for me and I’ve been returning to it regularly. Thanks for all you write and your faithfulness. And praise God you were wrong! But I’m SO glad you acted on what you saw. As a Mom we do see, hear, notice stuff others don’t. Way to go Mom! Thank you Berta. Yes…. motherhood, the intuitive blessing/curse . Thanks for your encouragement. Dear Debbie: Thank you for your last post. You and your family are in my prayers. I just prayed Philippians 4:8 for a totally unrelated matter and God reminded me to keep my eyes on Jesus. Thank you for blessing my life with your blogs. Thank you Kathy. Amen to praying scripture! You are always so encouraging. Thanks. It is always good to trust your motherly instincts. Who else can be Ian’s advocate? Praying for you and giving thanks your family is together this Christmas! Indeed. Congratulations on OT school for your daughter. AMAZING. Especially thankful to be connected to your family. Enjoy your Christmas!